This collection features sounds, loops, kits, and instruments entirely dedicated to Jazz: drums, double bass, jazz guitar and some typical electric keyboards. In addition, USB included some extra brushed drums sounds and 200 Jazz patterns as MIDI files and BPM Patterns. Jazzistic also includes basic and essential double bass and guitar loops, USB says. Supplied with the UVI Workstation, it is also the first UVI Soundcard to contain Kits and Patterns in BPM format, according to USB. JAZZISTIC is now available for $149, and includes the full version of UVI Workstation. 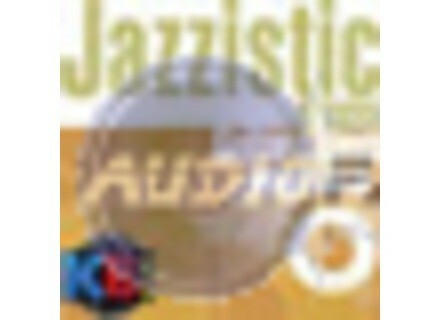 JAZZISTIC is also available as digital download at www.uvisoundsource.com. Motion Samples Space Disco Motion Samples has released a new Disco sample library. [Freeware] Dusted William FreeSP FreeSP is a free collection of 80 one shot drum sample of virtual drum machines processed through the SP1200 drum machine. TranceTutorial.com Suzy Wong's Noise! Suzy Wong's Noise is a distortion refill for Propellerhead Software's Reason 4.